The Energy Charter Treaty is unique as a multilateral treaty, indeed it is the only international legally binding agreement specific to the energy sector. The Energy Charter Treaty is unique as a multilateral treaty, indeed it is the only international legally binding agreement specific to the energy sector. The views expressed in this chapter are strictly personal and should not be attributed to the Secretariat or the Contracting Parties of the Energy Charter Treaty. First published in Yulia Selivanova (ed.) 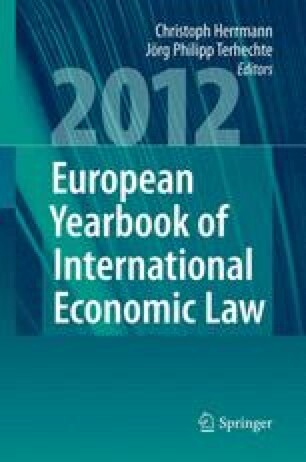 “Regulation of Energy in International Trade Law: WTO, NAFTA and Energy Charter”, Kluwer Law International, 2011. Azaria, D. ‘Energy Transit under the Energy Charter Treaty and the General Agreement on Tariffs and Trade’ (November 2009). Journal of Energy & Natural Resources Law, available at <www.ibanet.org/Publications/publications_JERL_November_2009.aspx>, 15 December 2010. Belyi, A.V. ‘A Russian Perspective on the Energy Charter Treaty (ARI)’. (2009), available at <www.offnews.info/verArticulo.php?pageNum_rsRelacionadas=44&totalRows_rsRelacionadas=441&contenidoID=15585>, 16 December 2010. Goodwin, P., et al. ‘The Energy Charter Treaty – Recent Developments’. Japan Dispute Avoidance Newsletter, No. 90 (February 2010), available at <www.herbertsmith.com>, 16 December 2010. Roche, P., S. Abraham & S. Petit. ‘Russia’s Withdrawal from the Energy Charter Treaty’ (August 2009), available at <www.nortonrose.com/knowledge/publications/2009/pub22691.aspx?lang=en-gb>, 1 March 2010.